There’s no doubt you know United Airlines (and may have even flown with them before), but are you aware of their different fare types, the ins and outs of their baggage allowances, and all of their extra fees/add-ons? What about their seat specs and their consumer satisfaction ratings? This helpful guide covers all you need to know about this large U.S. carrier so you hopefully won’t be caught unaware on your next flight. In this post you’ll find a general company overview, ticketing/fare options, extra fees/add-ons (including baggage allowances), cabin class amenities, seat specs, and more. United Airlines route map. Image courtesy of United.com. United’s fare types are pretty standard for a large U.S. carrier. But with stiff competition from lots of low-cost airlines, United recently introduced a Basic Economy fare — which pretty much just gets you a seat on the plane. Handy for those traveling light, this reduced and restricted fare does not include any standard carry-on or checked luggage. And for anyone part of United’s frequent flyer program (covered later on in this article), you won’t be eligible for premier qualifying miles that go toward your elite status when flying in this class. The availability of certain cabin classes is dependent on the route and plane type. We’ve also covered how you can upgrade to business or first class on United Airlines. If you’re looking for a little extra legroom, you can upgrade your booking to Economy Plus. This will also seat you closer to the front of the aircraft so you can disembark quicker. You can upgrade as a one-off, or subscribe to yearly upgrades when booking a regular economy ticket (where Economy Plus is available). United Airlines MileagePlus frequent flyer program. Image courtesy of United.com. MileagePlus is United’s frequent flyer loyalty program where you can earn miles to redeem against reward flights and work your way up membership tiers to gain elite benefits, such as priority check-in and additional luggage. These reward miles can also be used against flights with other Star Alliance members. You can earn miles through flying, shopping, dining out, and spending on certain credit cards. Hot Tip: For more information, check out our article on United’s MileagePlus frequent flyer program. United Airlines baggage. Image courtesy of United.com. Max weight: 50lb (23kg) for all economy and premium plus fares and 70lbs (32kg) for business and first class fares. United recommends that passengers check their official baggage fee calculator tool to view baggage costs associated with their specific fare type. Hot Tip: See our post on United Airlines baggage policy which details specific baggage allowances for all types of cabin class, status and personnel such as the military. Cancellation: If you cancel a non-refundable ticket, no refund will be issued – but you can use the cost of the flight against a new ticket within 12 months. Change fees may apply. If your departure or arrival time changes by more than 30 minutes (due to a schedule change), you can change your flight at no extra cost or request a refund. We’ve also gone into detail on United’s award flight change & cancellation fees. There is no charge to select a seat with United (where available), but you can opt for “Preferred seating” (closer to the front of the economy section) from $9 each way. The fee varies by destination, but ranges from $5-$20 with the ability to hold a fare for either 3 or 7 days. Benefit from additional leg room and being closer to the front of the plane for quicker exiting when you reach your destination. Bundles are offered during the reservation process combining different options, such as an Economy Plus upgrade and United Club trip pass. Prices vary per route, but United states that savings can be had by buying these bundles. 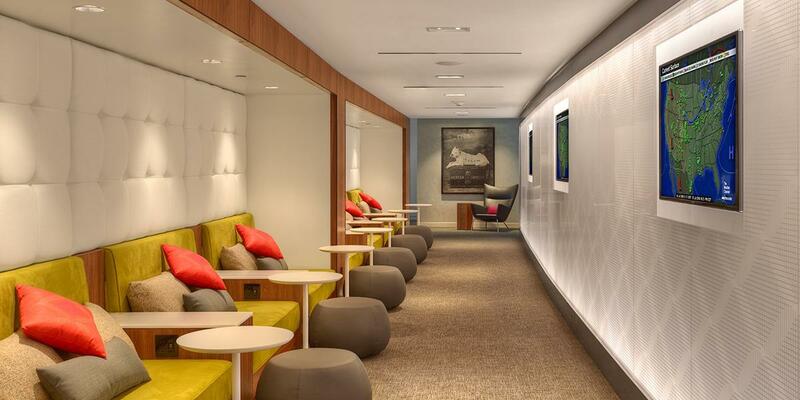 Get access to all of the United Club locations and select partner lounges. United Airlines “Bistro on Board.” Image courtesy of United.com. For flights over 3 hours (within the U.S. and to/from Canada, the Caribbean, Mexico, and Central America) customers can order from the “Bistro on Board” menu serving items such as a chorizo breakfast sandwich, pepperoni deep dish pizza, or a mezze sampler with prices ranging from $6.99-$9.99. Menu choices depend on the flight route. 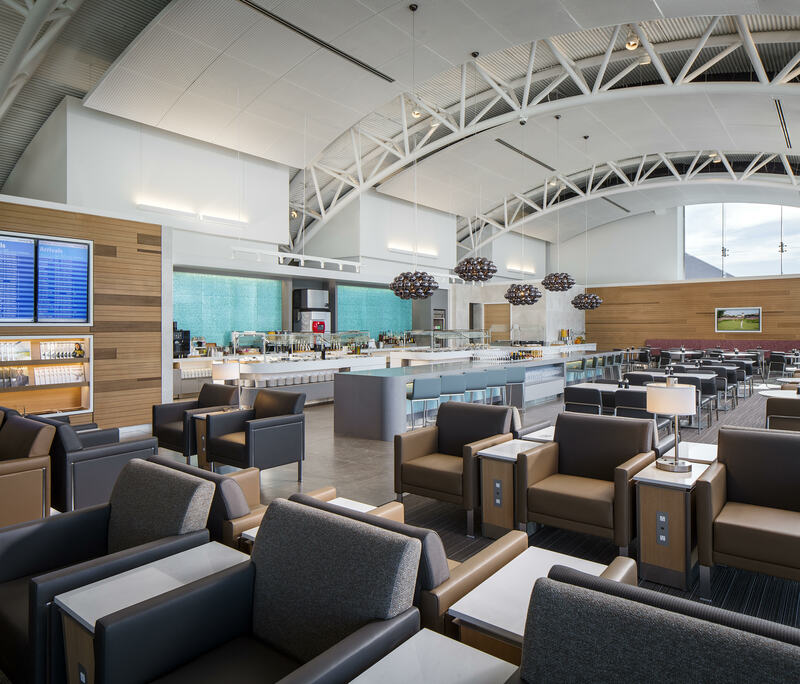 On flights over 1.5 hours (within North America, including select Latin American destinations and the Caribbean, in addition to Singapore, Australia, and New Zealand) customers can order from the “Snack Shop” serving sweet and savory nibbles and snack boxes. Prices range from $3.99-$9.59. Beer and wine are $8, while premium spirits range from $8-$9 and specialty cocktails will run you $10. Available on select Boeing 737 and 757-300 aircraft, customers can purchase access to DIRECTV with more than 100 TV channels plus movies. This is complimentary for United first passengers, and $5.99 for United economy passengers on flights less than 2 hours ($7.99 for flights more than 2 hours). Many travel rewards cards come with an annual airline credit and can be used to offset fees such as baggage fees, such as the Platinum Card® from American Express. Use your miles to offset or "erase" any travel purchases that you make with your card. It's easy. Earn 20,000 mile sign up bonus (worth $200) once you spend $1,000 on purchases within 3 months from account opening. In addition, if you have the United Explorer℠ Card you can get 1 free checked bag for you and a companion on your itinerary. United Airlines Fleet Seat Specs. Image courtesy of United.com. United Airlines has 14 different types of aircraft with varying cabin classes and seat specs. United Express operates a further 5 aircraft through its partner airlines. You can view the aircraft and seat specs here. United Airlines business class. Image courtesy of United.com. United Airlines Polaris business class. Image courtesy of United.com. United Airlines Economy Plus. Image courtesy of United.com. United Airlines economy. Image courtesy of United.com. On domestic flights and to/from the Caribbean and Latin America, customers receive complimentary soft drinks (including illy coffee) and can purchase snacks/meals and alcohol. Hot Tip: Check out our post on United Airlines’ boarding policy so you’ll know what to expect from the boarding process as almost all airlines have a different procedure! Customer satisfaction is a real mixed bag with United Airlines. Their social media channels and Tripadvisor reviews seem to attract many compliments from loyal customers, which is unusual as these outlets are often utilized to rant and rave about poor service! Additionally, their PR team is pretty genius, sponsoring a number of great causes and shouting about their good deeds on social media — so even if the service was only mediocre for a customer, their philanthropic ways may improve consumer brand impression. Lost baggage is a real gripe for United customers, being one of the most prominent issues on review sites. Also, inconsistencies of aircraft age can lead to disappointment in inflight amenities. One customer complaint we found said they had experienced a seat-back entertainment system on once international flight and not on another. That’s going to disappoint any traveler. United prides itself on their personal device entertainment, but this does rely on the customer having a smartphone/tablet at their disposal. United Airlines had 1,169 complaints lodged against them from January-September 2018 according to the September 2018 Air Travel Consumer Report. The chart below represents the complaints by category. There are a number of different review websites out there when it comes to airline ratings. Here are a few of the most popular so you can see the general consumer opinion for United Airlines. United Airlines Skytrax Rating. Image courtesy of airlinequality.com. Airlineratings.com Safety Rating: 7/7 (takes into consideration whether the airline has an IATA Operational Safety Audit Certification, government and crash records, plus information from the World’s Aviation Governing Body). United Airlines charity partnerships. Image courtesy of United.com. United Airlines supports numerous charities across their main hub locations and across the globe. It strives to be a more sustainable airline supporting environmental charities and operations such as Clean the World and Conservation International. United also supports many youth projects, including Youth Guidance with the goal of inspiring future leaders. 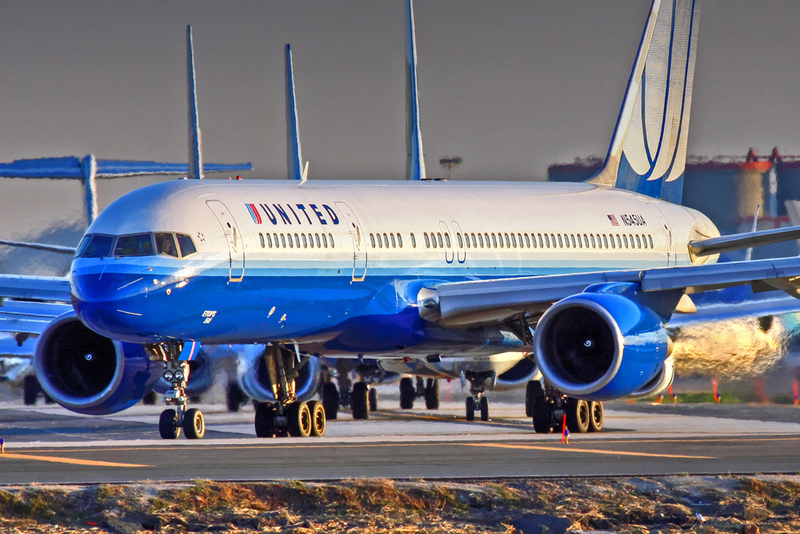 Overall, customer satisfaction seems to be somewhere in the middle for United — and as with other legacy U.S. carriers, there will always be a place for the airline with reasonable fares and route availability. United will never have the sass and style of Virgin Atlantic or the service and luxury of the Middle Eastern airlines, but it serves its purpose and does have a loyal customer base (although this may be dwindling slightly, with many referencing the “good old days” when United was great). Their current focus seems to be on revamping their premium cabins, with their Polaris offering in business and first — but we’re hoping they don’t neglect economy for too much longer either.